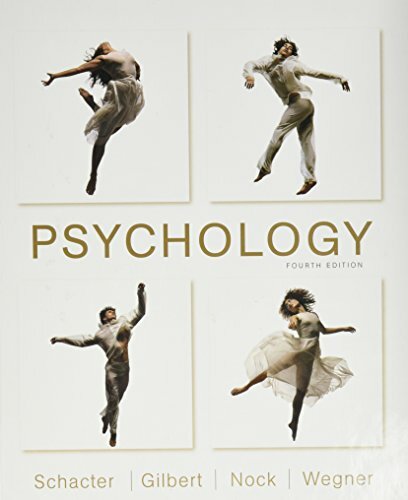 This widely used, enthusiastically received textbook is the work of one of the most accomplished author teams in introductory psychology, each a distinguished educator and researcher, and three of them (Schacter, Gilbert, and Wegner) authors of bestselling books for general readers. Together, they offer an approachable, engagingly written survey of the field’s main ideas, filled with unusual stories, memorable examples, and lots of humor to captivate all kinds of students. Again carried by the authors’ exceptional communication and teaching skills, the new edition has been retooled for the classroom chapter by chapter. Sections in each chapter now have specific Learning Outcomes in place, to emphasize “big picture” concepts and guide student learning. There is also new boxed feature called A World of Difference highlighting important research on diversity and individual differences, plus new Data Visualization Activities in LaunchPad, to help students build quantitative reasoning skills.